The Patient Financial Services Department offers a variety of services to our patients from registration into our network through to collection from your insurance company. The HealthAlliance of the Hudson Valley’s hospitals participate with most major insurance companies, listed here, and the Patient Financial Services Department will be happy to bill insurance carriers for patients. Our hospitals also accept most major credit cards including MasterCard, Visa, American Express and Discover. Many insurance companies require prior authorization from your physician. Please verify that your physician has obtained the necessary authorization for services rendered at the hospital. Failure to authorize services could result in penalties from your insurance carrier. In instances where the patient will have a deductible copay due, the Patient Financial Services Department will ask for payment at the time of service, unless prior arrangements have been made. If patients are covered under an HMO and require prior authorization and/or referral for the services, this information needs to be available at the time the service is being rendered. Upon discharge from the hospital, we immediately begin the process of putting together the necessary information your insurance company requires to be on the bill. Then, we file a medical claim with your insurance company. When we receive an explanation of benefits from your insurance company, it advises us how they reimbursed the hospital as well as any balances that may be due from you. We will then send you a statement reflecting the balance that is still due such as a copay, deductible and or co-insurance. Depending on what services you receive from the hospital, you also may receive a separate bill from your private physician, specialist, radiologist or laboratory. Learn more about this in the HealthAlliance Disclosure. Our Patient Accounting Department is open 8:00 a.m. - 4 p.m., Monday - Friday, in order to assist our patients with resolution of their open accounts. Appointments can be scheduled to speak with one of our representatives outside of our normal hours upon your request. All information is kept strictly confidential. Payment Plan Arrangements. We offer payment plan arrangements that will allow you to pay in installments with no service charges or added interest to your balance. The hospital is a not for profit facility with our main focus on serving the health care needs of the community. Medicaid Assistance Eligibility. You may be eligible for Medicaid assistance. Please contact your local Department of Social Services to see if you qualify. Should you be eligible for Medicaid assistance, they can backdate the coverage up to 3 months to cover older medical bills. Charity Care. 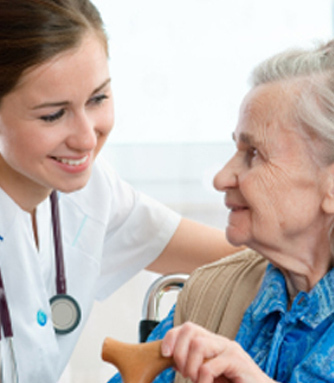 We have a Charity Care policy that may assist you in paying for your hospital bills. If you qualify you will be eligible for a full or partial deduction off of your hospital bill. We will send you an simple application, and require both your annual income and a determination from the Department of Social Services showing where you have applied for Medicaid. Click to view participating insurance providers. Remember, if you have a concern, problem, or complaint related to any aspect of care during your hospital stay, speak to your doctor, nurse or a hospital staff member. If you have a problem that you cannot resolve with your doctor, nurse or other caregiver, please call the HealthAlliance Office of Patient Advocacy at 845.417.7692.